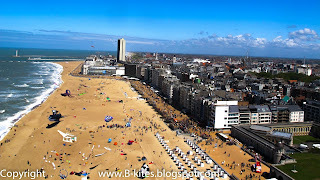 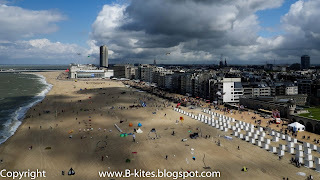 Back home from a great weekend at the kite festival in Oostende. 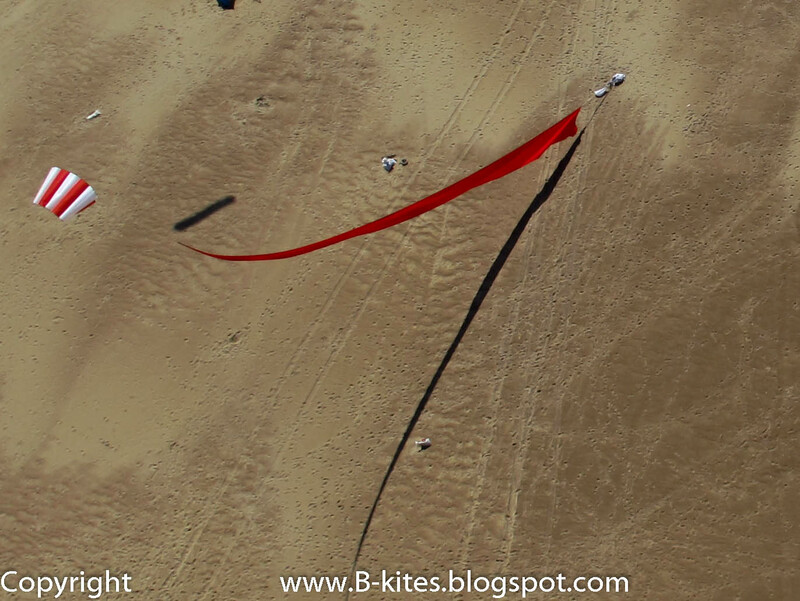 On Saturday we had gusty winds of 45km/h reaching 64km/h at ground level. 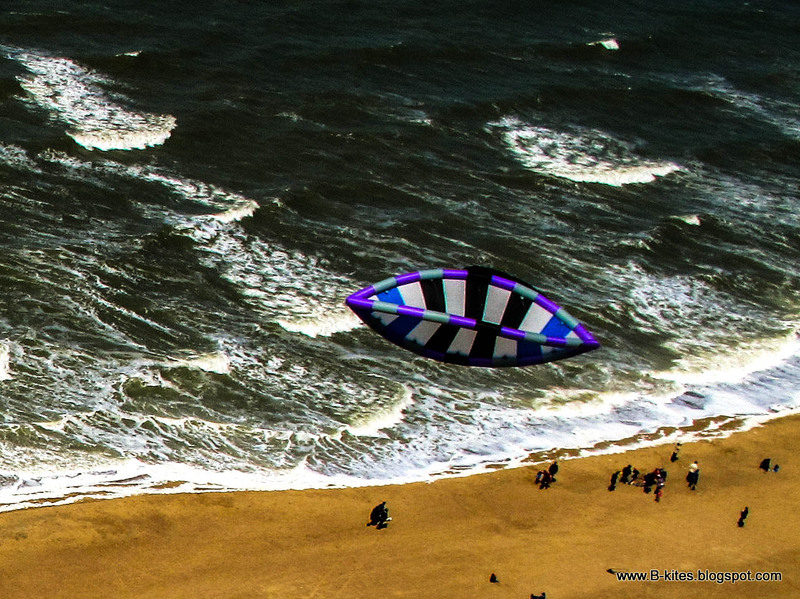 I was able to get my PFK kite up to a 150 meter high to shoot the following KAP pictures. I have been passionate about kites for over 15 years. 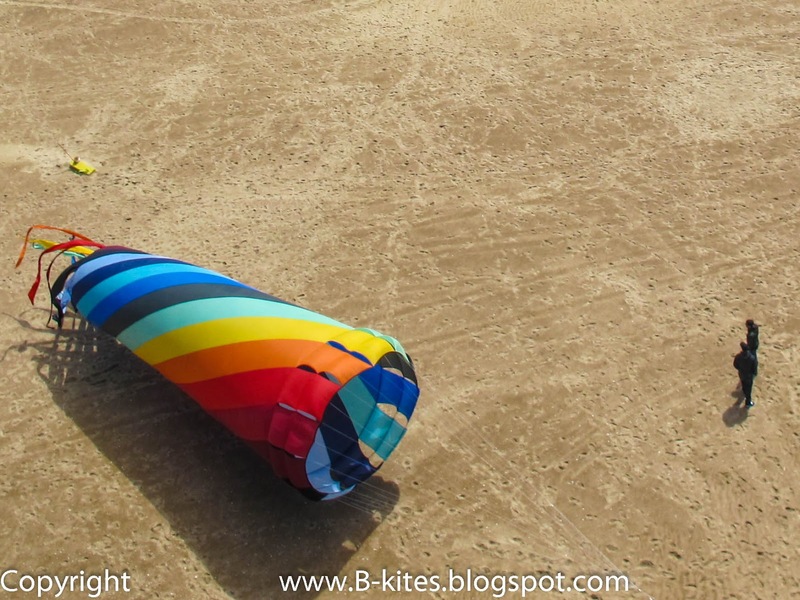 It is hard to imagine now that a small Micron Prism kite, bought back in 1994 in San Francisco, would add such a new dimension to my life. 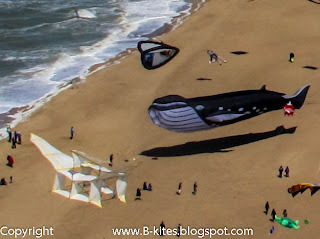 During those first years, I was spending nearly every weekend at the Berkeley Marina practicing the latest dual line trick; after our workout we would chat for hours with people like Brian Champie and Miguel Rodriguez about the latest thrill in the kite scene with always that beautiful view of the San Francisco skyline in the background. 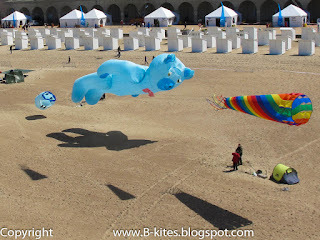 The yearly Berkeley Marina kite event, but even more, my participation in the organization of the Crissy Fields Kite Fest with the eye-catching single-line kites of Pierre Fabre, David Wagner and Robert Trepanier eventually triggered my interest in the beauty of single line kites. We returned to Europe in 2001: Although; I never lost my interest in two- and four-liners, designing and flying single line kites took more and more a chunk out of my so limited free time. Spending too many nights in re-engineering kite plans to give my kites that little extra that makes them unique and recognizable during the different festivals that I have attended during the last few years is really rewarding. 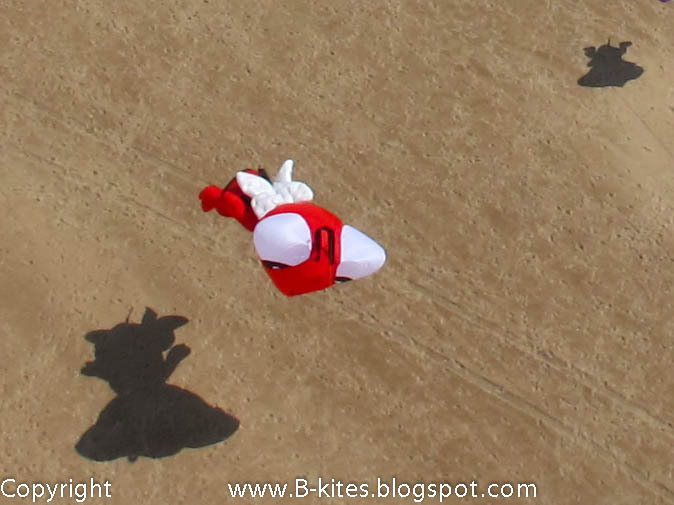 The maiden flight of a kite is always such a magic moment and the reward for having spent many hours building it. Together with the City of Antwerp, I organize a yearly city kite festival. 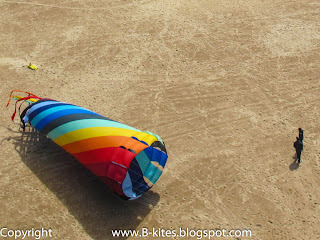 I regularly organize kite building courses for schools, street activities, culturele centers etc.